Thanks to social media, I always come across lots of fun and new makeup brands, one of them being Violet Voss Cosmetics. After visiting their website and taking a look at their cosmetics lineup, I was instantly intrigued by their products-mostly their liquid lipsticks. I recently picked up five of their Matte Liquid Lipsticks to try, and I am going to be sharing my thoughts on them with you guys today. For starters, I really like the packaging of the liquid lipsticks. The box couldn't be anymore cuter with the pink bow and polka dots, and the frosted tube is so glam and modern. The applicator wands consist of a flat, paddle shaped sponge tip, which allows for easy application and precise results. The liquid lipsticks have a thin texture that spreads nicely on the lips. The color payoff on these lip colors is really good, but I suggest layering on a second coat since it not only amps up the pigmentation, but also evens things out some. These liquid lipsticks don't take too long to dry. And once they do, they set to a rich matte finish. Based on my experience, most liquid lipsticks have a tendency to feel drying on the lips. They can also enhance lines and cling to dry spots if your lips aren't properly prepped. Unfortunately, these liquid lipsticks are no different. To ensure the best looking results, I recommend exfoliating lips and applying a light layer of a moisturizing lip balm underneath these-my favorite at the moment being Skinfix's Lip Repair Balm. It will do wonders and really make a difference in terms of how the liquid lipsticks feel and look on. You can even dab a bit of lip balm on top of these liquid lipsticks for an extra moisture boost. As for lasting power, Violet Voss' Matte Liquid Lipsticks perform pretty well. The colors can totally hang on for hours-more so the deeper shades than the lighter ones; even longer if I avoid oily foods which can affect longevity. Although, I did notice that the color does tend to fade on the inner part of my lips, about 2 hours into wear. But it's nothing a little retouch can't fix. I am loving all five of the Violet Voss Matte Liquid Lipstick colors I have, but there are a couple standout shades that I think are definitely worth noting. Excessive had the most opaque and smoothest formula, Vanity is literally everything I want in a vampy lip color and truly makes a statement, and Naughty's bold berry hue is so flattering on and perfect to sport during the spring and summer months. 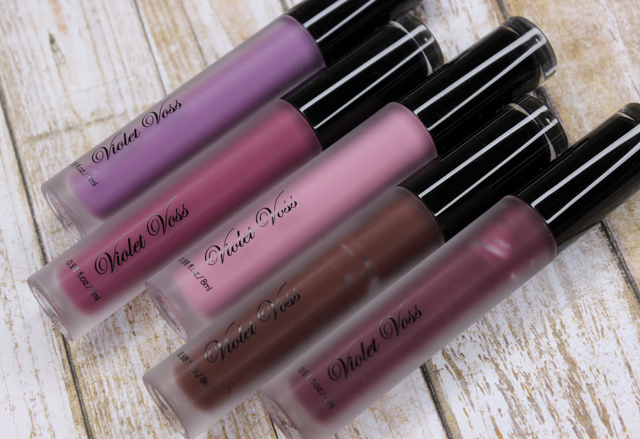 If you love liquid lipsticks, consider trying these out from Violet Voss. The colors are stunning, long wearing, and very budget friendly too, which I can definitely appreciate. 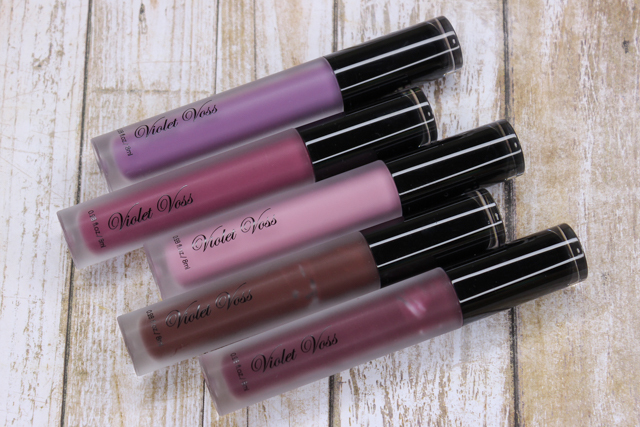 What do you all think of these matte liquid lipsticks from Violet Voss? See any you like? Which are your favorite liquid lipsticks?